New CCTV cars that could capture drivers on film using mobile phones or eating at the wheel are being used in a road safety pilot by Greater Manchester Police. 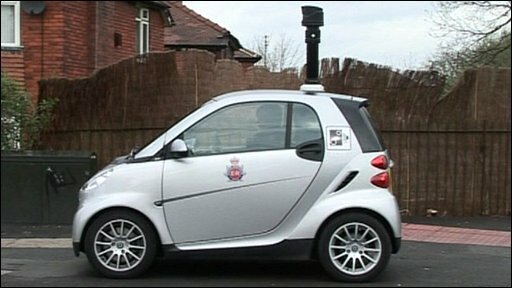 The small smart cars have a 12 foot mast with a camera attached to them to film the behaviour of drivers. Anyone whose behaviour is considered distracting could face a fine and points on their licence.